A web-footed, semi-aquatic rodent that can weigh up to 22 pounds, which is definitely not okay, but still nowhere near the size of the largest extant rodent, the nutria (Myocastor coypus, lit. ‘I’m looking for the one-armed man’) is the escaped-convict-turned-wily-fugitive of the natural world. Originally imported from South America by fur traders and trappers hoping to create a booming market for horrifying rodent fur in the United States, nutria were either released on purpose, or escaped from their fur farms, or took advantage of the situation when their prison bus swerved off the road and collided with a train. However it happened, the fact remains that nutria did escape into the wild in many US states, and there they scurry to this day, eluding capture, breeding like rabbits, and causing all manner of mischief. Unfortunately, they don’t look like rabbits. Nutria look like a mentally-challenged beaver with orange teeth. Yes, these oversized rodents have bright orange incisors, thanks to an iron-rich pigment that clearly got confused as to exactly where it should be expressing itself. One can only imagine the frustration this has caused for generations of wildlife photographers. 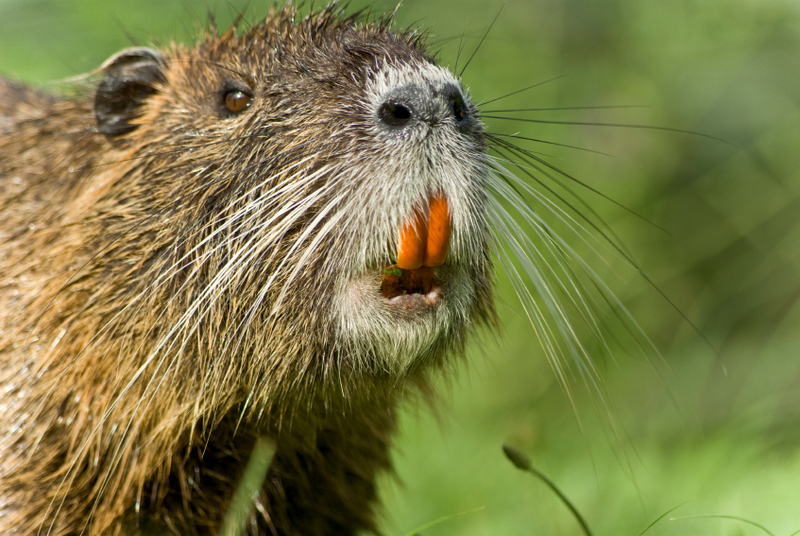 A huge concentration of fugitive rat-beavers with bright orange incisors roaming the countryside is, if taken in isolation, totally awesome. Unfortunately, nutria are a threat to the environment. They have an irrepressible taste for soil-binding vegetation and nowhere is their constant orange-toothed gnawing more of a problem than it is in New Orleans. 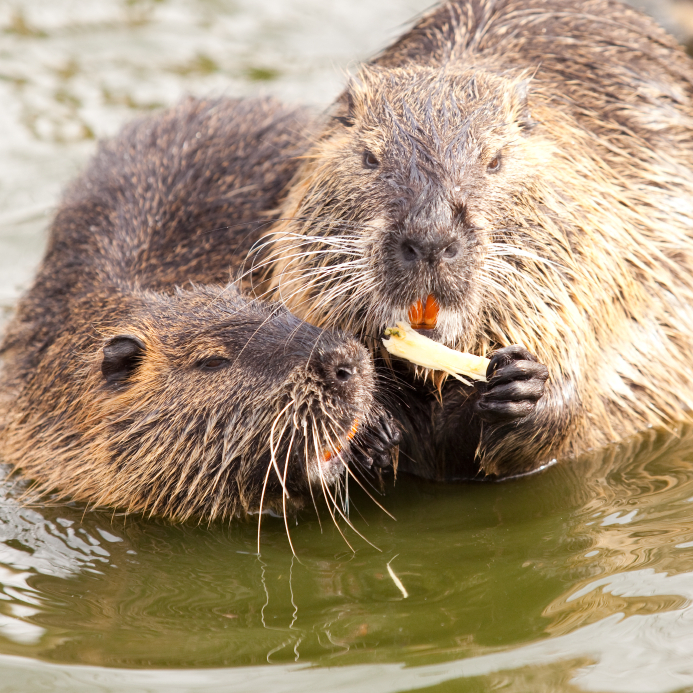 Nutria devour the plants that keep river banks from eroding, canal walls from collapsing and endangered wetlands from becoming more endangered-erd. And with nutria populations all but out of control in New Orleans, the damage has been in the millions of dollars. The solution is tricky, because like most complicated environmental issues in coastal Louisiana, this too requires that elected officials be sober and also not in jail. To say that nutria are fugitives is no exaggeration. Since their introduction to New Orleans in the 1930s1, the city has been chasing them well into the depths of obsession. In Jefferson Parish, which is particularly at risk to weakened canals, nutria have been hunted by nearly every means and every person, with the possible exception of Tommy Lee Jones. Over the years, a host of creative measures have been tried. They’ve tracked nutria down with trained terriers, gassed their burrows, floated poison-laced fruit down the canals, issued a $5-per-tail bounty to the general public, encouraged Steven Seagal to eat them, and even sent the SWAT snipers after them. No joke. 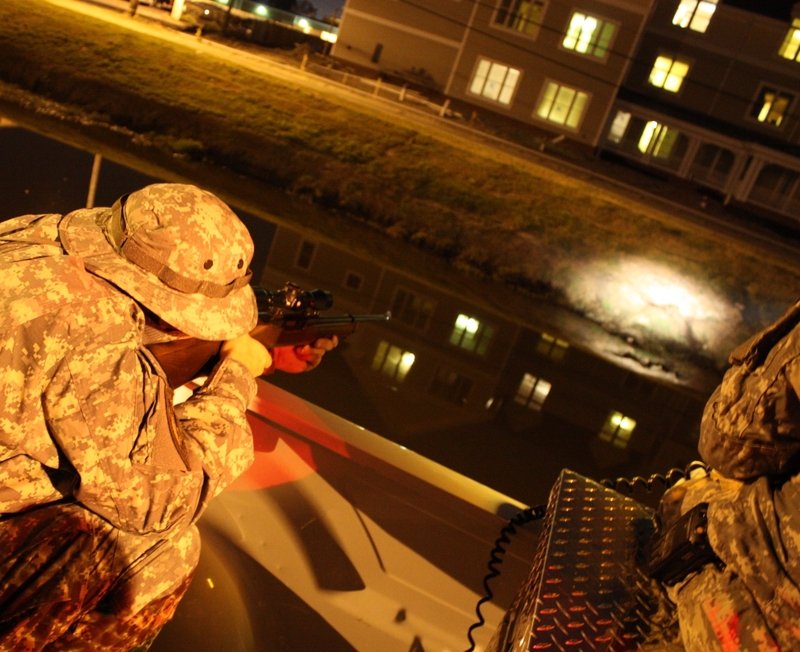 The Jefferson Parish SWAT and sheriff teams actually hunt nutria with spot lights and scoped rifles as a matter of public policy. If you don’t now love New Orleans, you never will. Photo Credit: Darrin DuFord, OmnivorousTraveler.com. In the final analysis, it’s difficult to deny that all of this is kind of wonderful. Especially compared to the incredibly boring back story of other rodents (never sit across from a squirrel at a dinner party unless you have a Kindle). On the other hand, nutria are selfishly picking on a beloved American city that definitely doesn’t need another environmental problem right now. However, a professional animal reviewer must look at the big picture: Can one really fail a large, invasive, semi-aquatic rodent with webbed feet and bright orange teeth that’s running from SWAT snipers even as you read this? Answer: Not on our watch. 1 The story of the nutria’s introduction to New Orleans is shrouded in mystery and as you might expect, it involves hot sauce. Until recently, the most accepted explanation placed the blame squarely on E.A. McIlhenny, former president of the McIlhenny Company which, of course, is famous for the Tabasco brand. Rumor had it that E.A. McIlhenny was the first to import nutria to New Orleans in order to establish a fur farm in the late 1930s. Rumor also had it that he intentionally set some free and/or the nutria escaped after a hurricane smashed their cages in 1937. Just something to think about over your next Bloody Mary. Hammerhead sharks include nine distinct species within Family Sphyrnidae; though these range in size from about three feet to as large as twenty, all are characterized by a flat, hammer-shaped head that is thought to have begotten their name, though the name ‘hammerhead’ was almost entirely due to the members of Family Sphyrnidae’s obsession with hammering. To paraphrase Mark Twain1, when all you have is a hammer, everything looks like a nail. Hammerhead sharks extend this metaphor by showing that when your head is a hammer, you’re going to spend most of your free time thinking of what you can hammer next. 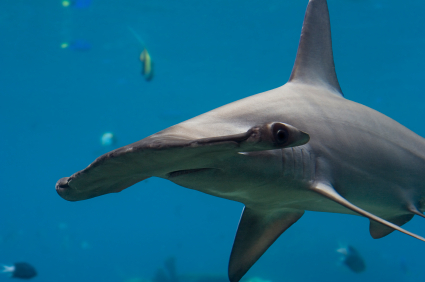 Most sharks never (or rarely) sleep to avoid sinking to the bottom of the sea and dying, but hammerheads never sleep because their minds are constantly racing as they contemplate where and when they can hammer next. Even if they start to nod off and finally get some rest, they’ll suddenly wonder if a passing ship might have a loose rivet they could fix and, next thing you know, they’re out of bed and putting in their contacts. Even Ambien doesn’t do anything for them. 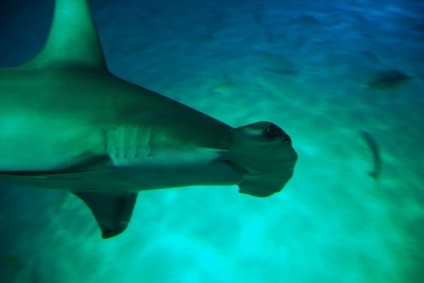 The evolutionary origins of the hammerhead’s cephalic morphology has long been a subject of debate and inquiry, with some scientists proposing that the unique shape functions like a hydrofoil, giving the negatively buoyant hammerheads better swim control; others have suggested that it allows tight maneuvering in pursuit of prey. But pretty much everyone agrees that whatever its origins and proper purpose, a hammerhead would rather be using it to hammer stuff. 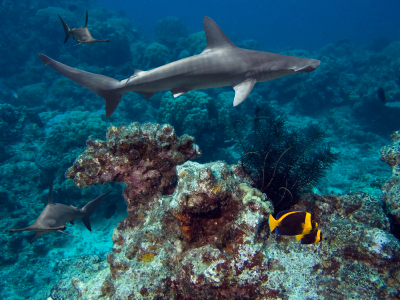 Recently, a joint study by the Florida Atlantic University and the Hawaii Institute of Marine Biology found that the spacing of the eyes in the hammerhead shape allowed a wider field of vision while enhancing stereoscopicity, which makes it easier to locate something to hammer. Moreover, the team also found that the wider surface area offers enhanced electrosensory capability, which makes for better hunting and also provides a bigger striking surface when a nail is finally located. 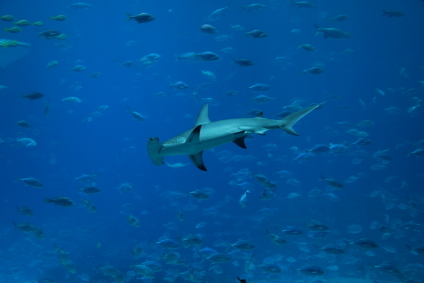 With proportionally small mouths, hammerheads consume a great deal, including fish, other sharks, stingrays, and octopuses – whatever is quickest so they can get back to hammering. Of the nine species of hammerheads, three (scalloped, great, and smooth hammerheads) are dangerous to humans, though all are considerably more interested in checking your reflexes for you (don’t say no). Some hammerheads are also known to eat their own young, usually as punishment for improperly hammering something. 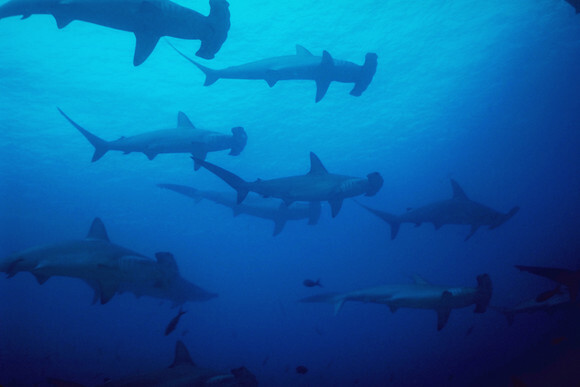 Like other sharks, hammerheads are nocturnal solitary hunters, but during the daytime they often form massive circling schools, where they compare stories about how much stuff they’ve recently hammered. Hammerheads are also among the few species that can get suntans from prolonged exposure to sunlight, something that happens frequently when they get a much-coveted roofing job for the summer. Their interest in hammering things is, of course, not the hammerheads’ fault. They’re just dealing with what they have. If their heads were tool belts, they might be more well-balanced. Even better if their heads were a whole garage. But unfortunately, all they have is a hammer, and so hammer stuff they will. So if and when you want to build your kids a tree house, give a hammerhead a call. They’ll be more than happy to help out, at least with the hammering. 1 The saying ‘If all you have is a hammer, everything looks like a nail’ is frequently attributed to Mark Twain, though this doesn’t appear anywhere in his writings. It is likely a traditional saying, but it is often formally attributed to Abraham H. Maslow’s book The Psychology of Science (1966). That said, anything witty and at the same time cuttingly accurate probably was first uttered by Mark Twain.